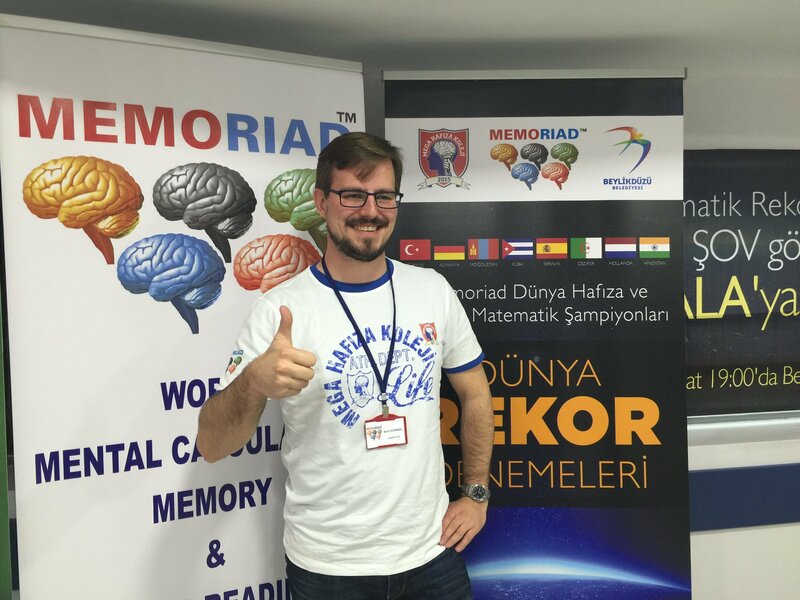 "Mental World Record Attempts" organized by Memoriad World Mental Sports Federation was held at the end of 4th week of November 2015, on 28th and 29th of the month in Istanbul, Turkey. 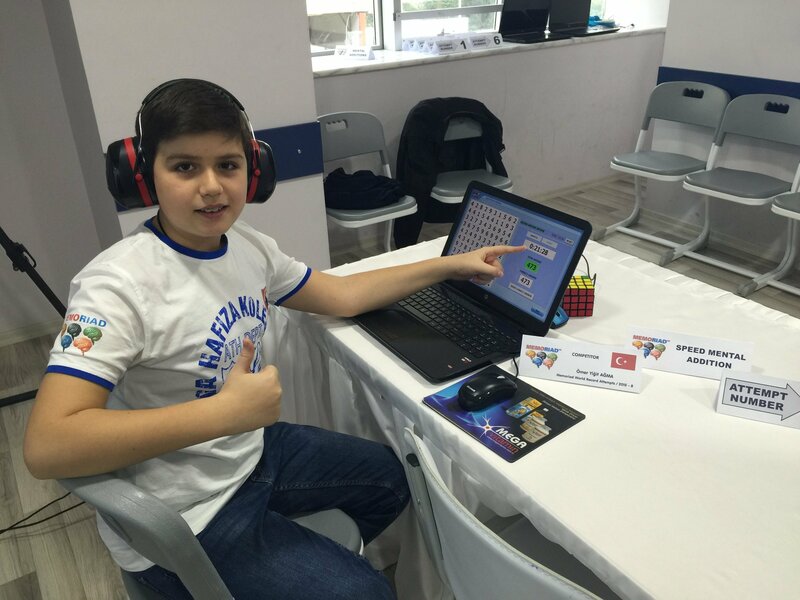 All foreign competitors were provided with free accommodation from 27th to 30th of November 2015. 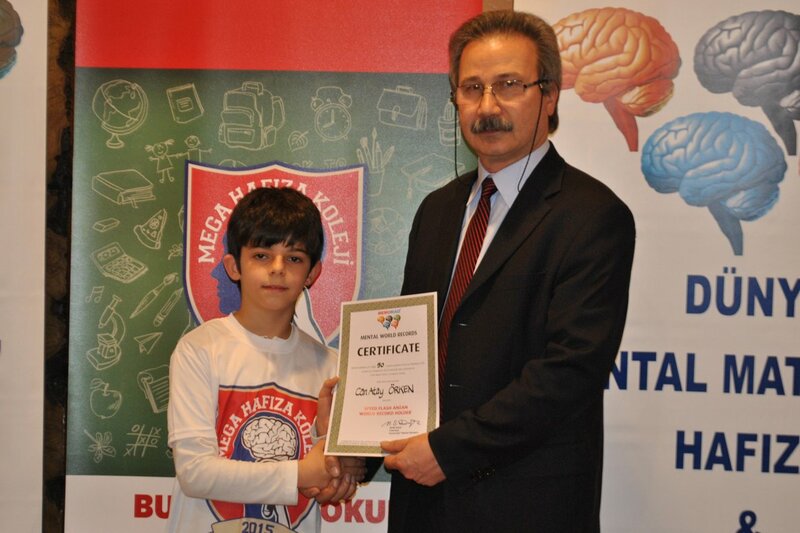 A total of $ 3000.- money prize was distributed for the world records broken. Each world record holder received $ 500.- money prize for their world records. Committing as many names as possible to memory and link them to the right faces in five minutes. 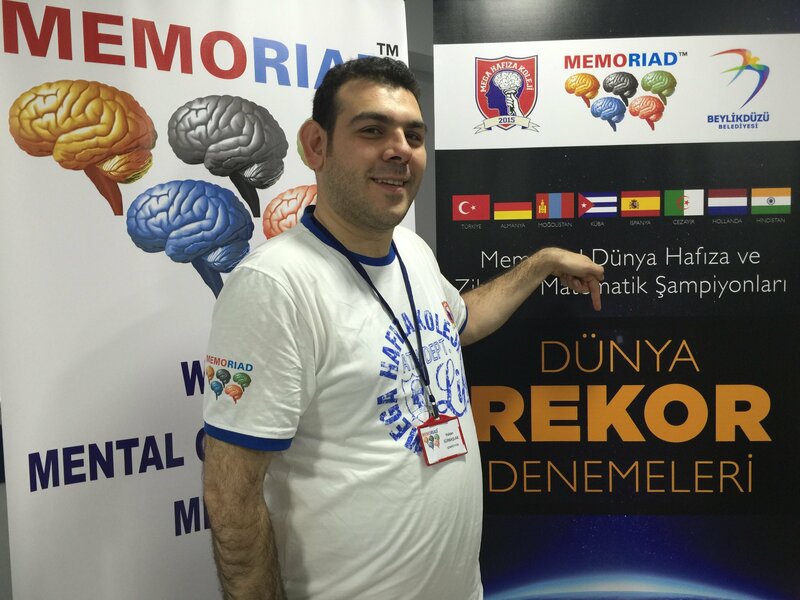 28 Nov., 2015, Memoriad World Record Attempts Week - 2015, Istanbul, Turkey. Committing as many names as possible to memory and link them to the right faces in fifteen minutes. 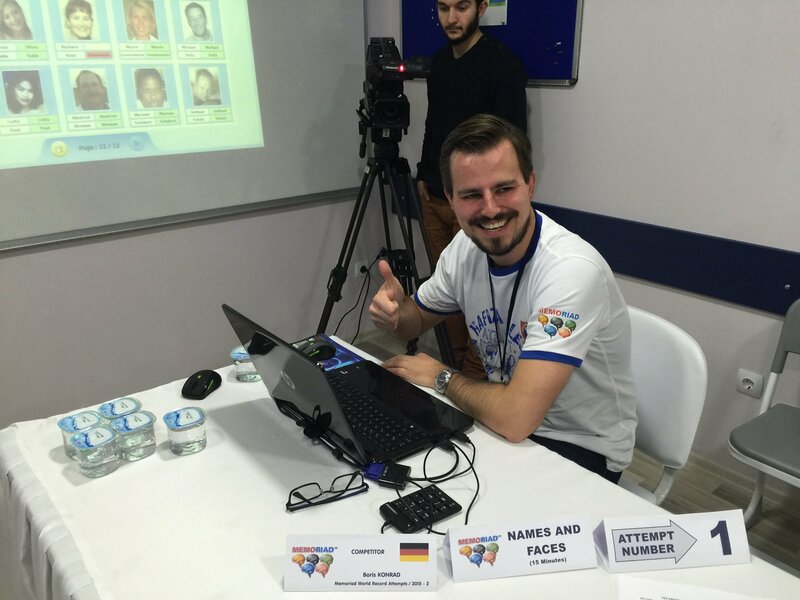 Boris Nikolai Konrad Germany 215 points 28 Nov., 2015, Memoriad World Record Attempts Week - 2015, Istanbul, Turkey. Ten set of 10-digit number by a 5-digit number (no remainders left) have to be mentally divided. 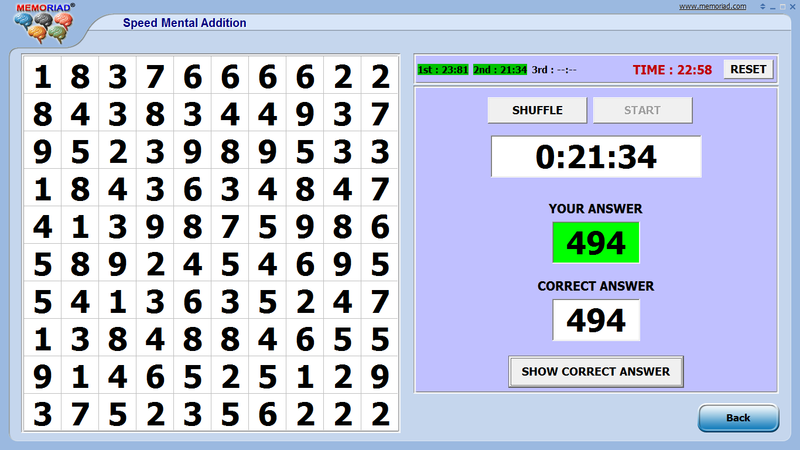 Since the correct result of adding one set of numbers in one of the ten world record attempts (at most ten world record attempt can be done in every 24 hours) can be guessed (for high number of flashing numbers) by saying the same number (that is close to average of maximum and minimum of flashing numbers times the number of additions) repeatedly, at each “Speed Flash Anzan” world record attempt 5 sequential set of additions must be correct. 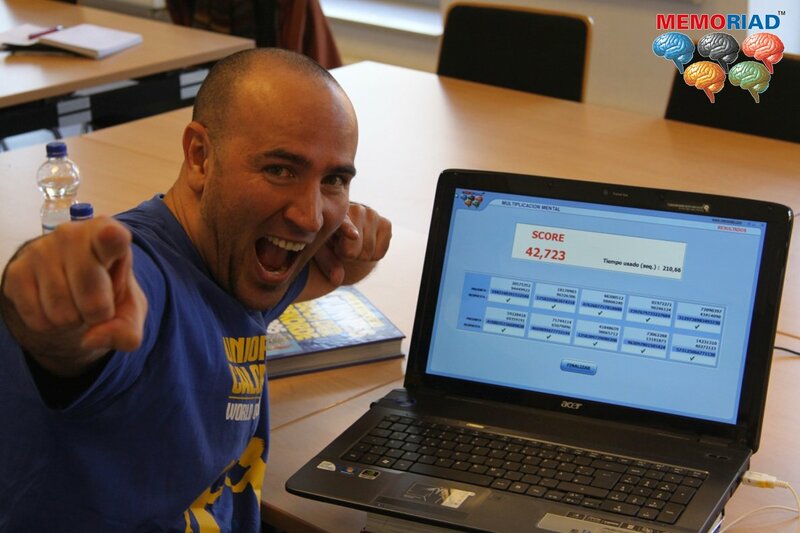 1-) The number of flashing numbers must be multiples of 50 for one digit numbers. The number of flashing numbers must be multiples of 25 for two digit numbers. The number of flashing numbers must be multiples of 15 for three and four digit numbers. The number of flashing numbers must be multiples of 10 for more than four digit numbers. 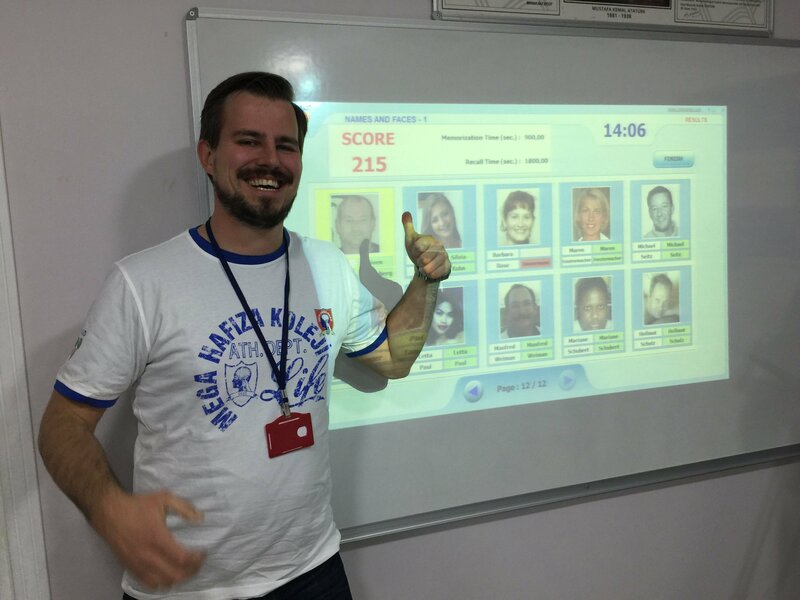 2-) The score points calculated according to the formula given below must be over the existing highest “Speed Flash Anzan World Record”. 3-) Each “Speed Flash Anzan” World Record Attempt is composed of 5 sequential set of additions. If one of the additions in the set is wrong, the next “Speed Flash Anzan” World Record Attempt starts. 4-) "Memoriad Flash Anzan Software" must be used for the world record attempts. 5-) The number of record attempts is restricted to 10 within a period of 24 hours. 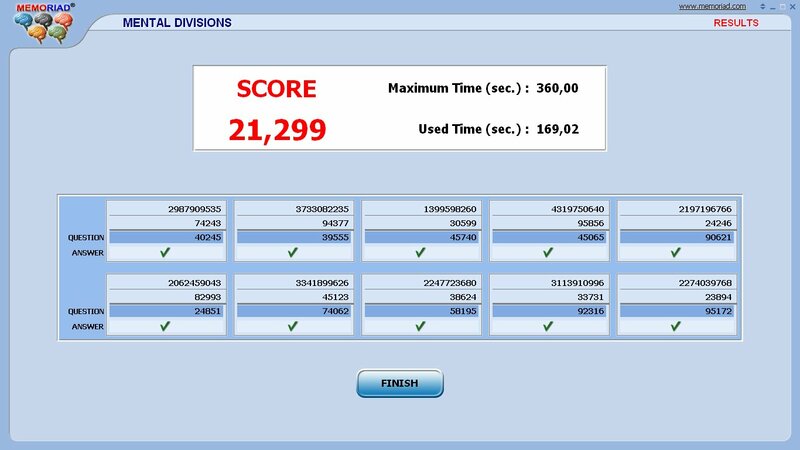 t : time interval of flashing numbers in seconds. n : the number of problems or the number of flashing numbers in the question. m : the number of digits of the flashing number. 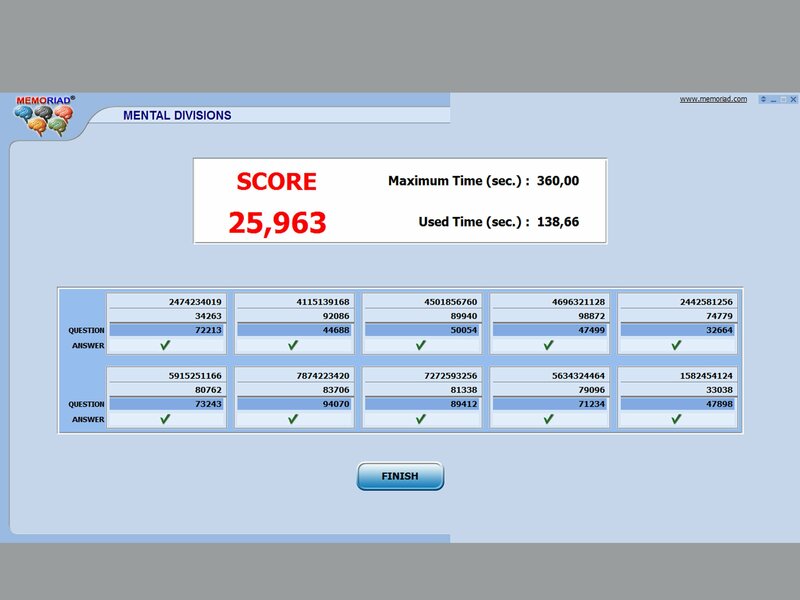 In this World Record category Memoriad™ Speed Mental Addition Software generates 100 random non-zero one-digit numbers to be added. 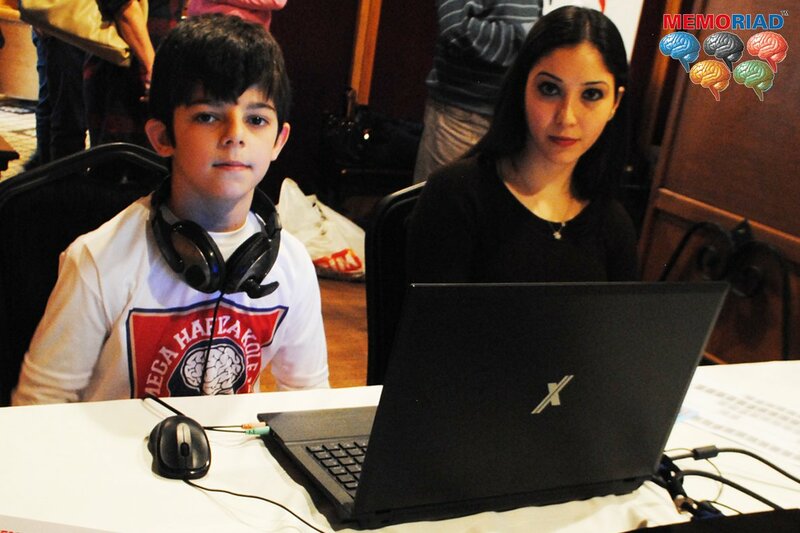 The competitors add these 100 single-digit numbers as fast as possible. 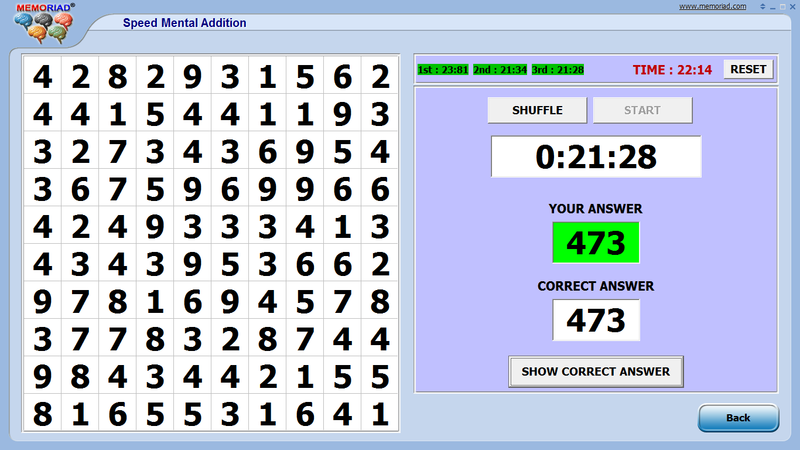 3 sequential sets of “Speed Mental Addition” must be correctly added. The average time of adding these three sequential sets gives the achieved time of the event. (*) Normalized for random non-zero digits. 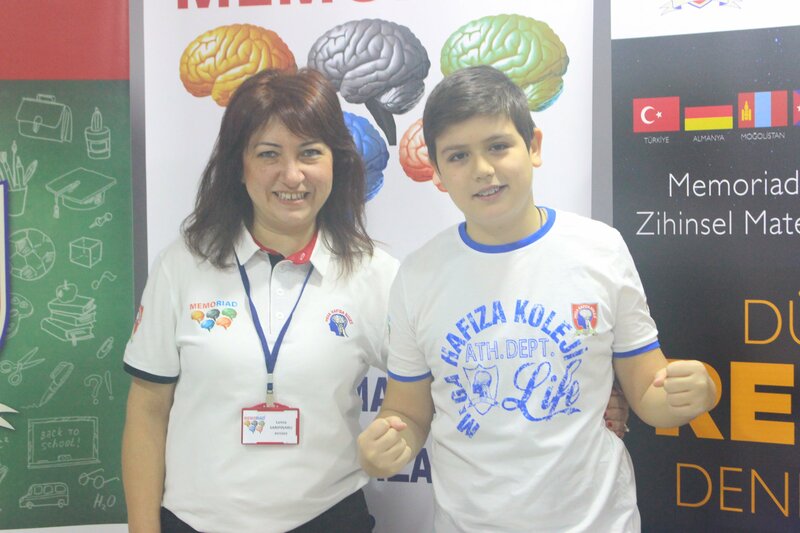 During “Turkey Brain Awareness Week”, Memoriad Organization held “Mental World Record Trial Day” in Ankara, Turkey on March 21st, 2015. 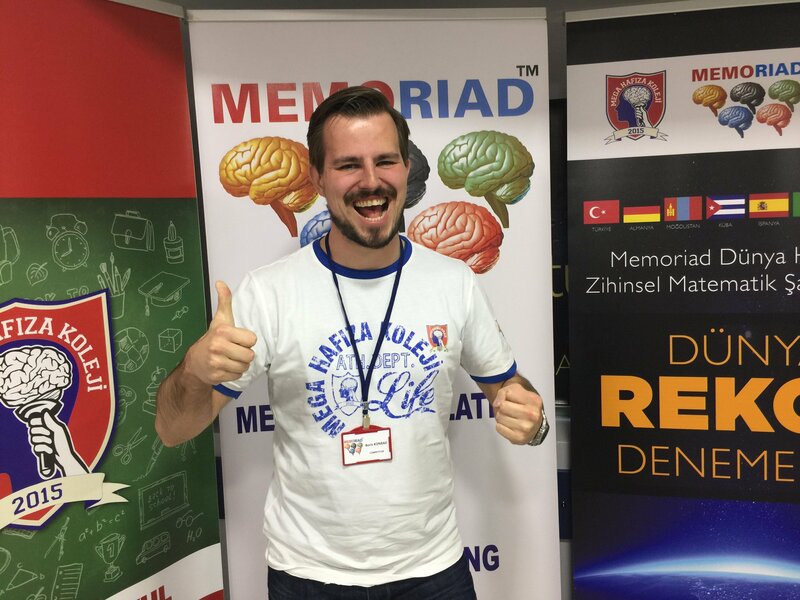 Two “Memoriad World Mental Records” were broken. One is in “Mental Division” and the other is in “Speed Flash Anzan” categories. 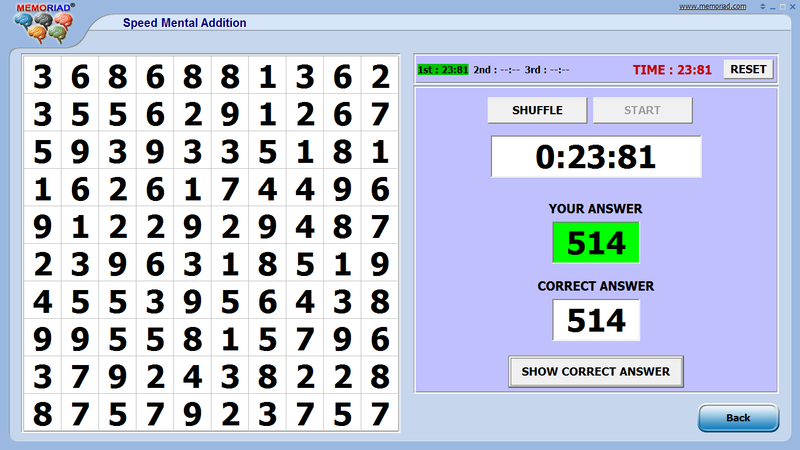 Ten 8-digit by 8-digit mental multiplication have to be solved without a single error. 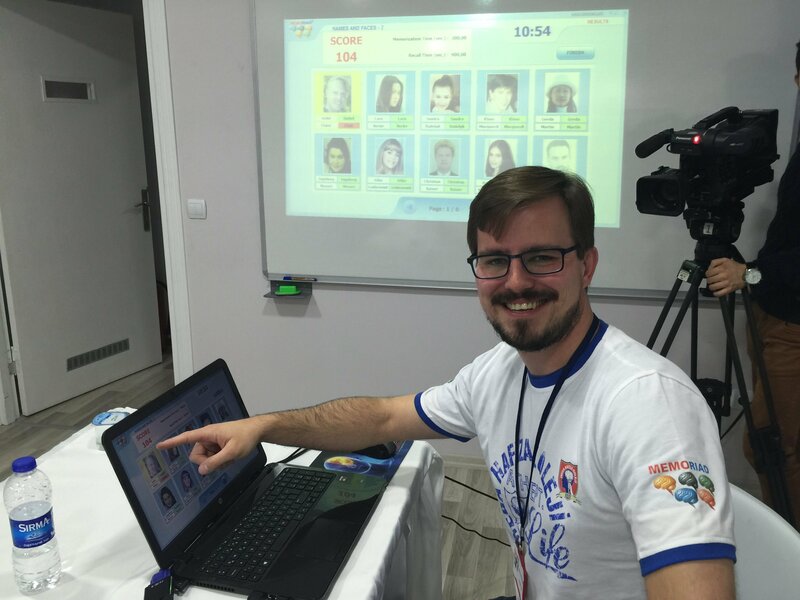 World Record for Mental Multiplication of two 20-digit numbers: This record is for the fastest time for an individual to multiplicate two 20-digit numbers without error. 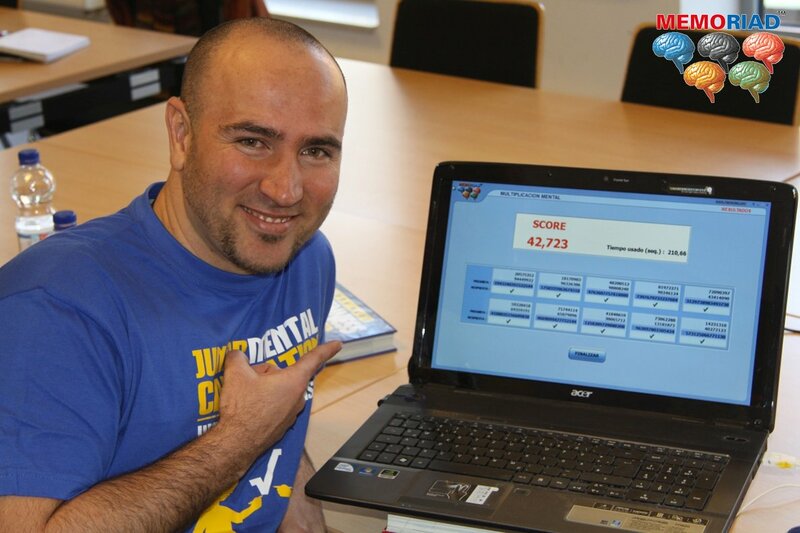 Mental Square Root World Record for Ten 10-Digit Numbers: This record is for the fastest time for an individual to calculate the square roots of ten ten-digit number to eight significant numbers without a single error. © 1997 - 2019 MEMORIAD ® All rights reserved.